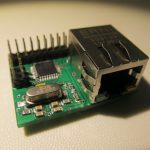 The Micro Internet of Things Gateway (uIoT) is a Atmega328 + ENC28J60 solution, one of many using this combination of hardware, but still unique with its miniature size (38mm x 28 mm and 15 mm in height). The original board is designed by Simon K. and I have his permission to develop it further and sell my version to hobbyists. My revisions so far include adding a micro USB plug for power purposes and re-shuffling the header so plain rectangular shields can be created more easily. I have also developed a shield that plugs on top the uIoT and adds a RFM12B connectivity, a Micro SD card slot, a LED and FTDI connector option. You can set the fuses to run on the internal RC oscillator at 8Mhz, this is my recommended setup. To achieve this, I use a modified OptiBoot Bootloader optimised for 38.4kbps baud. The modified and compiled version can be downloaded from my github repository. 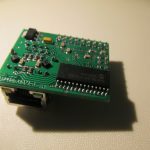 The full guide of how to modify and re-compile Optboot is detailed on the Arduino forums here. In order to compile Arduino sketches to work for this modified bootloder we need to add a new entry in Arduino’s boards.txt. atmega328_384_8.name=ATmega328 Optiboot @ 38,400baud w/ 8MHz Int. RC Osc. 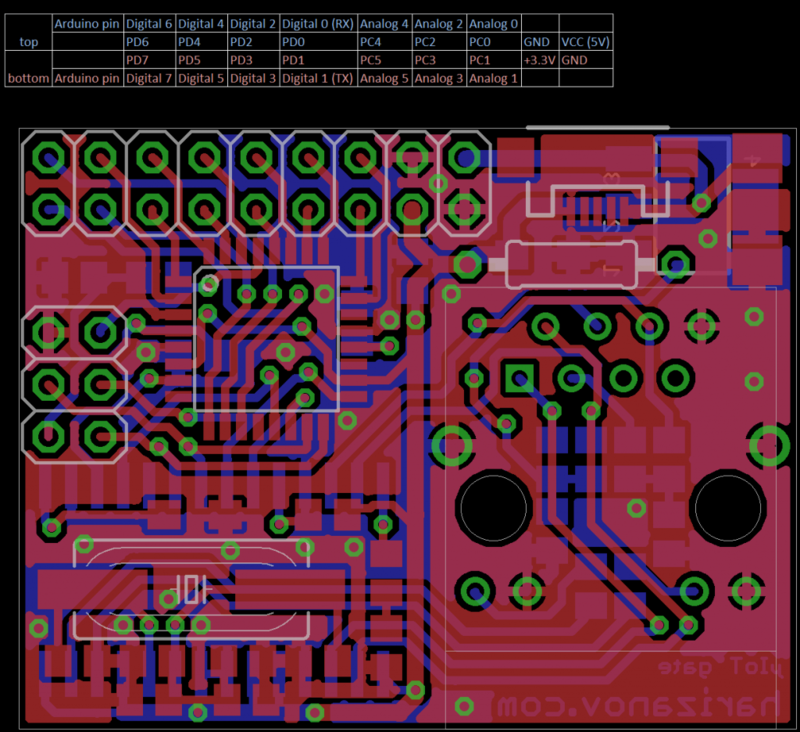 Now we just need to select board > ATmega328 Optiboot @ 38,400baud w/ 8MHz Int. RC Osc in Arduino IDE when compiling sketches. 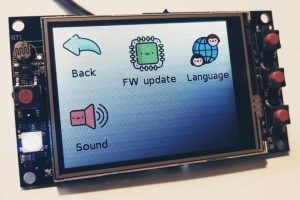 The shield uses non-conventional pin for selecting the RFM12B module, that also requires changing 3 lines in the Jeelib’s RFM12.cpp definitions; I would include a modified version in the examples on github to eliminate the need for change by the end user. 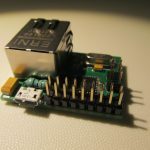 Check all my posts on the uIoT gateway.